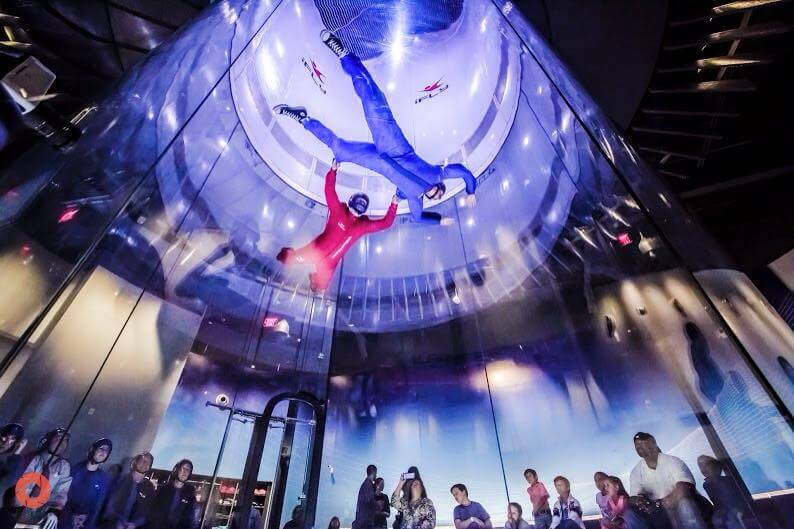 As of April 10th, 2015 - iFLY Houston The Woodlands is now open for business. Photos show the new, taller flight chamber than the previous designs. The interior flight chamber is also taller than the previous model. 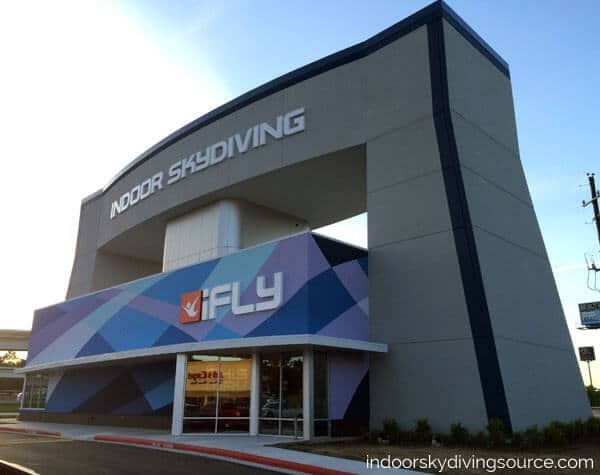 From recent photos we can now see that iFLY Houston Woodlands will be the first of its kind. The slightly different design than the existing 3 story tunnels seen at the other Texas or Chicago locations can be seen. Instead of a 3 story building with the flight chamber on the 2nd floor, we can now see that the flight chamber sits at ground level. 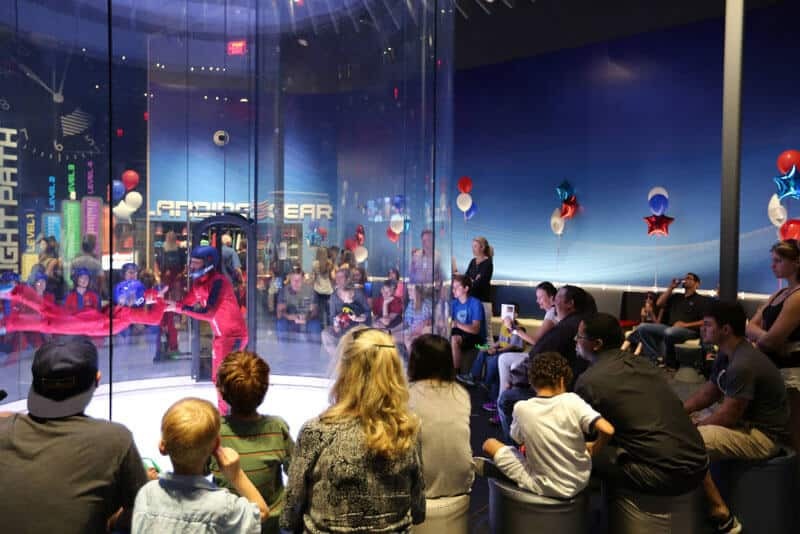 Also open in Houston is iFLY Houston - Memorial. Average rating of 4.2 from 15 review(s). "Danimal" instructor was aweome. He is very patient with flyers. He explained everything very well and told everyone to have fun. Always was where you could see hand signals. I came today because Ifly was offering free for all first responders and immediatley first thing I noticed was excellent customer service as well as keeping you excited to fly. I had a blast. I will definitley be back for private lessons with Danimal! Let me start by saying I love ifly, I have been no less than 7 times, and am a fan probably for life. However I will not be returning to the woodlands location. I have flown 2 times here and both experiences were lacking. This last time especially. My flight instructor had a class of all adults, and he proceeded to treat all of us like children. He assumed we all had 2 minutes of flight time until my brother and I had to remind him that we both had 4 minutes. Don't get me wrong, I'm not an expert by any means, however I have a lot of control in the tunnel and I wanted to learn more control or for him to teach me. Instead he spent the whole time not letting me go and not coming around so I could see him and he could teach me. I spent 4 minutes floating in one spot and not being able to even do the things I knew how to do because he wouldn't let me go close to the net, or turn, or go up. So after a frustrated first 2 minutest left the tube on my own with 15 seconds left. If I can do that you would think he would maybe rethink what level I was at and adjust for the 2nd two minutes.....nope. literally the same exact thing. I asked if he would teach me and let me go the 2nd time he said "I can't I have to hold you". If that is the policy at the woodlands location then I am glad I will not be spending any more money at this location. I drove from Dallas for waste that much money when I could have gone to my usual location Dallas - Frisco (which is amazing and I have not had a bad experience at ever by the way and would recommend to anyone and everyone) and I wouldn't have wasted the money that I did on Saturday. If you have kids this place is fine, but if you are older or a return flyer I'd consider any other location. Saturday March 11th flight time 1:30, I wish I had kept the bracelet so I could put the name of the instructor in this review but I threw it away cuz I was frustrated yesterday as anyone would be who just threw money down the drain. Ps. The front desk was amazing. They are the only reason 2 stars happened. Everyone was very patient with me. I was concerned about my fear of heights but I would not back down. When I was comfortable in the air, the let me go up. It was amazing to feel weightless and free for the first time in my life. Not many times in my life have I been able to do something like a normal guy (I have CP) but skydiving did that for me. Thanks to everyone. I am coming back. This was my second time flying with Flight Instructor John Wiggins. He is professional, has patience with his students and puts one at ease. I enjoyed my second experience of indoor skydiving tremendously and will recommend this for everyone, its so much fun. AMAZING first time experience!! Our instructor Eric Jackson was absolutely INCREDIBLE!!!! great with the kids and a great supporter!!! highly recommended!!! definatly coming back!!!! Had a great time at Ifly The Woodlands with the entire family. Our instructor Eric did a great job with the kids especially our 4 year old who had a blast. We will be back. We went to take our son (age 10) to see what all the hype was about and it was amazing. The instructor Vincent was so positive, excited to teach and very knowledgeable. Would definitely recommend Vincent to our friends and will be going back for more lessons as we purchased more flights while we were there!! Thanks for the experience!! We were an 8 person group ranging in ages 5 thru adult all of which enjoyed our time to the max. Our instructor Joey Mire was awesome made us all feel safe while having a blast. We look forward to our next visit and for sure we'll be asking for Joey to lead us. Supper family outing I highly recommend it. Dominal (probably misspelled) was an exceptional flight leader. He made everyone feel at ease and guided us through our flight even though some of us were REALLY unsure about what we were getting into. Our group ranged in age from 18 to 72. We all had an AWESOME experience. So great in fact, we wanted to return and bring more family members to share in the fun. But we are having a problem redeeming vouchers we purchased after our flight. Will comment again when we see how booking our second flight using the vouchers turns out. Joey was awesome!! He looked like Ironman doing his tricks! He guided our kids 11 and 26 with ease and safely. I was nervous about flying and possibly sinking to bottom, but had zero problems. We loved doing the Superman jumps into the air. First of all let me say I flew at this location and had a great experience. The facilities were nice, friendly and helpful staff that had positive attitudes and helped me fly on my own! I completely agree with those who say the price is too high, but at the end of the day what do you expect? 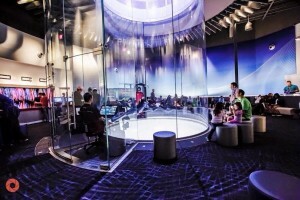 Wind tunnels aren't on every corner and after flying I really see this is a unique experience. Not everyone can afford the price, but that's OK. I felt like while the price was high, it was still a great time. I gave it 4 instead of 5 because the only complaint I had was that I was upsold the whole time I flew. Would have been much easier to enjoy the experience without being sold to again and again. Sorry but if someone can't tell that the last reviewer Chris was most likely an employee then you are down right gullible! The place is nice and clean but the amount of time given is freaking ridiculous!! They give you 2minutes and that is exavtly how long it feels. As soon as you start its over. It is fun but not worth $70. Come on!! $35 a minute?? Seriously people rethink going here. And if you do you might as well just take the $70 and put it straight in the trash. I somewhat agree with the above reviewer opinion on the high price to fly. However, when you take into consideration the costs to build, maintain, and run an operation such as this, you are better able to appreciate both the company and the experience a lot more. In my opinion the price is set to a reasonable amount for what you get. This is as close to skydiving as one can get without jumping from an aircraft. There is far less risk than skydiving, and skydiving is more expensive. The brand has already proven there is a huge market for this type of sport with its worldwide locations. If you're reading this to try and determine whether to try wind tunnel flight, rest assured you will not be disappointed if you do try it. If you're reading this trying to determine what iFly location to visit, either one will leave you wanting more. I have flown at both the Memorial and The Woodlands locations and have found the facilities and staff to be professional and inviting.